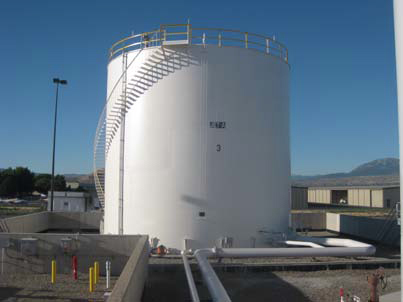 Construction of a new 10,000 bbl Jet-A storage tank, new dike wall, new 1,000 GPM Pump and associated tank and pump piping. 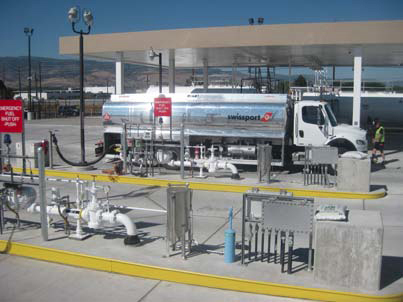 Starting off with a completely green site, Meccon installed new Jet fuel loading facility including 4 position Jet-A truck fueling stations, 1 Gas & Diesel dispenser lane and one top and bottom Type I & Type IV glycol loading posision. 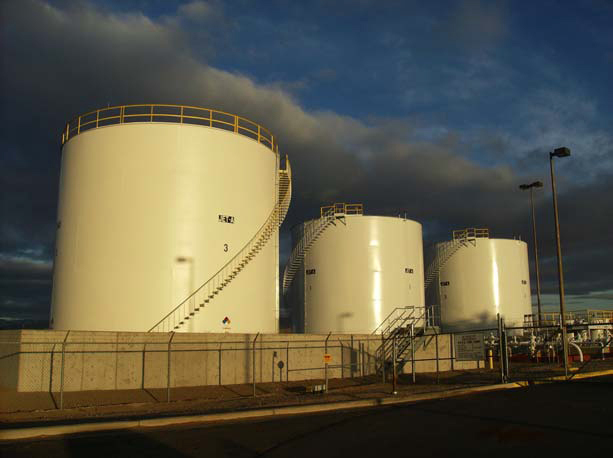 Installed 2 new 10,000 gallon above ground gas and diesel storage tanks with a landside offloading skid. Installed a new 8,000 gallon Type IV glycol above ground storage tank with a load and offload pump skid. Constructed a new control building and drivers shelter. 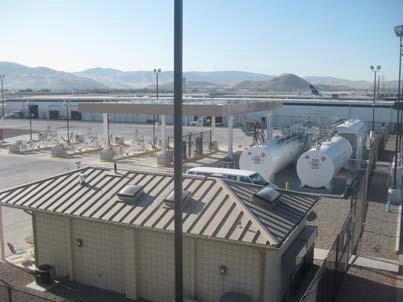 The gas, diesel, glycol & jet-a is tracked by a custom made PLC that remotely transmists data over a mile away to another PLC located at the Jet-A tank farm on the other side of the airport, along with astate of the art security camrera system that also remotely transmits across the airfield. Installed a new emergency generator for the load rack site. We were responsible for all the flushing and commissioning of the new jet fuel tansmission line and all the new gas & diesel piping.